Offering night and weekend hours! (Please note that co-pays and deductibles vary greatly among insurance companies and individual plans. Please call your insurance company to determine your benefits). 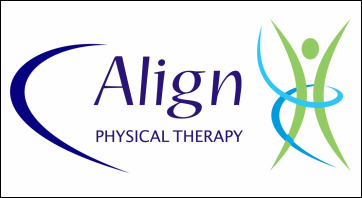 Thank you for entrusting Align Physical Therapy with your recovery process. We look forward to meeting you! From the North, take route 4 South to exit 5A, (route 102 East). Follow Rt.102 to the Rt.102 / Rt.1 intersection. Take the left at the intersection onto Rt.1. Continue 0.7 north on Rt.1 past the Wickford intersection and Align Physical Therapy is on the right in the Color House Plaza. From the South, take Rt. 1 North to the Rt. 4 / Rt.1 exit. Continue north on Rt.1 past the Rt.102 intersection 0.7 miles. Align Physical Therapy is on the right in the Color House Plaza. Align is easily accessible to Jamestown, Saunderstown, Narragansett, Exeter, South Kingstown, Wickford and East Greenwich.